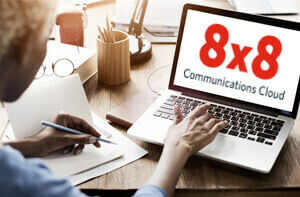 8x8 VoIP Accelerates Restaurant Chain's Rapid Expansion | 8x8, Inc | 8x8, Inc.
Lazy Dog is a rapidly growing restaurant chain that’s poised to enter new markets. When the company’s aging phone system became too difficult to expand and maintain, management decided to move communications to the cloud. A local telecom reseller recommended 8x8 and a competitor, but in the end it was no contest: 8x8 was clearly the better solution. Now Lazy Dog is saving 30-40% in monthly phone costs, and can easily support and expand its cloud-based phone system. Chris Simms is a third-generation restaurateur. His father and grandfather founded the legendary Mimi’s Café in Anaheim, California, in 1978, and his grandfather previously headed MGM’s fabled studio commissary in the 1950s. Inspired by family vacations to Jackson Hole, Wyoming, during his childhood, Chris co-founded Lazy Dog with his father Tom in Huntington Beach, California in 2003. The name derived from an experience Chris had one snowy afternoon, walking back into the lodge after a long morning on the slopes. He noticed a dog lying by the toasty fireplace and he told his companions he wished everyone could enjoy life as much as that lazy dog by the fire. From its first location in Huntington Beach, Lazy Dog quickly spread across Southern California and down to San Diego, and then opened two stores in the San Francisco East Bay. Next the chain crossed state lines, opening its newest location in Las Vegas, Nevada. However, Lazy Dog’s rapid growth put a strain on its premises-based Avaya phone server. The aging system lacked many modern phone features, and maintaining it had become increasingly costly and time consuming. Mejia sought advice from TDC Technologies, an Orange County-based telecom agent that helps IT executives reduce their telecom operating expenses and eliminate the complexity of managing their telecom business. In this case, they advised Mejia to consider 8x8 and one other cloud-based competitor. In May 2014, Lazy Dog deployed 8x8 at its new restaurant in Oxnard, California. Mejia wanted to perfect the service there before rolling it out more widely. He quickly identified some special configuration changes required for the restaurant environment. Lazy Dog engaged 8x8 to make the configuration changes. Within two weeks, the restaurant’s new phone system was ready. With the Oxnard store up and running smoothly, Mejia proceeded with the rest of the rollout. He and team took a “layered” approach, making sure each store location had robust Internet connectivity and sufficient network bandwidth before adding in 8x8 phone service. At corporate headquarters, Mejia phased in the service at an even more granular level, starting with a small test group before deploying across the entire office. By October 2014, all Lazy Dog locations were seamlessly united on the 8x8 telephony platform. 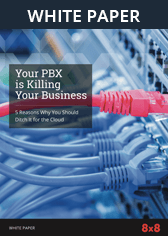 An immediate benefit of the new 8x8 phone system is that toll- and long distance charges for the growing organization have been eliminated, saving Lazy Dog 30–40 percent a month. Another important benefit is that costs are now much more predictable. Better sustainability and supportability are also key benefits, from Mejia’s perspective as an IT executive. For example, recently an accident forced the closure of one restaurant. In just a few minutes, Mejia’s IT team recorded a special “out of office” message for that location. Users at Lazy Dog’s corporate headquarters are using 8x8’s advanced business features “robustly,” notes Mejia. Employees can now chat, call, videoconference, and add people to conferences with a few clicks or keystrokes. The presence detection feature included with 8x8 service lets the receptionist see who is available and who is busy when callers ask to be transferred. A cordless headset enables her to multitask by moving around the office freely while still being able to answer incoming calls. Features such as the mobile app for iOS and Android devices, call forwarding, and ring groups help ensure that calls are answered live whenever possible. Mobile users often rely on the 8x8 mobile app to make and answer calls on their smartphones as if they were at the office. Other users forward calls from their desk phones to their cell phones whenever they are out of the office. Some departments set up ring groups so that all desk phones ring when a call comes in, ensuring that someone will answer it. The expanding geographical distribution of Lazy Dog restaurants has resulted in a more distributed workforce as well. Some corporate employees live a considerable distance from the Huntington Beach headquarters. With 8x8, that’s not a problem for the organization. Another popular feature among corporate employees is email notification of voicemail. In Mejia’s view, this feature has tripled users’ ability to access information. “Thanks to 8x8, we can access voicemail from our desk phones, cell phones, or email,” he explains. “The notification even includes the message as an attachment, so we can hear it without dialing into voicemail. 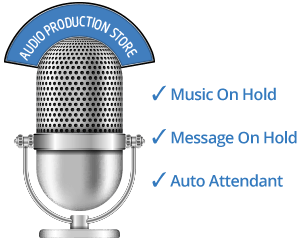 It’s almost impossible to miss a message now.” Virtual PBX Template Accelerates Store Openings Each Lazy Dog store has an individual virtual PBX, based on an 8x8 template. By copying that template for each new restaurant, Mejia’s team has significantly accelerated the opening the new locations across the U.S. Looking back at Lazy Dog’s previous premises-based phone system, Mejia once again raises the issue of control. But the benefit he sees extends far beyond IT issues of supportability and scalability. Wanted to move communications to the cloud.